0-200 in 17.7 is accurate. why there is no info about AUDI RS6 (C6) V10 5.0 TFSI? 17.8 for the RS6 .. and 17.3 for the RS6 PLUS . its written in the box under the page . thanks . I changed the picture to what Georg suggested. I can''t change pictures sadly, fastestlaps will have to do that. here is a nice RS6 picture..perhaps could someone change it? 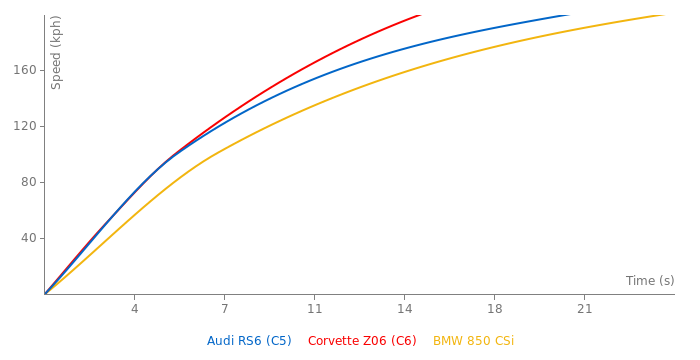 The picture is the new RS^6. This data is from the old one.